Taillevent's fourteenth century Le Viandier is one of the earliest European cookbooks. It exists in at least four different versions. How To Cook a Peacock is Jim Chevallier's translation of the so-called Fifteenth Century version. It includes introductory notes and a detailed index. 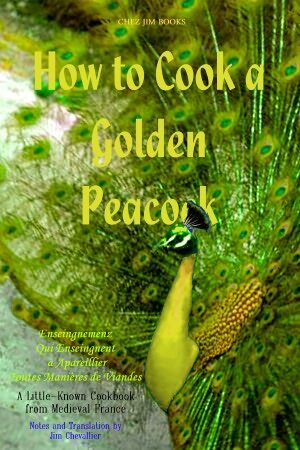 And NOW - How to Cook an Early French Peacock and How to Cook a Golden Peacock!